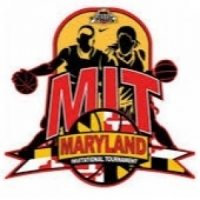 Welcome to the official online check-in for the Maryland Invitational Tournament, know simply on the AAU circuit as “MIT”. Founded in 1994 by Gary Pinkney, the MIT has grown to be one of the largest AAU basketball tournaments in the country. The Maryland Invitational Tournament will offer an age based and grade based division for both tournaments in February and June. Boys 8u to 9u will be aged based while 10u to 17u will be grade based. Make registration payment via PayPal. Click join tournament button above. Choose your team entering tournament. If your team is not verified, complete verification process. How to get my team verified? How do I check my team into a tournament? When you click continue it will send the waiver that needs to be e-signed to all users who have not signed it yet. This features is normally not used till a week or 2 AFTER verified teams have joined your tourney/league. REMEMBER: The waiver goes out automatically several times to all users when the team joins your tourney/league.